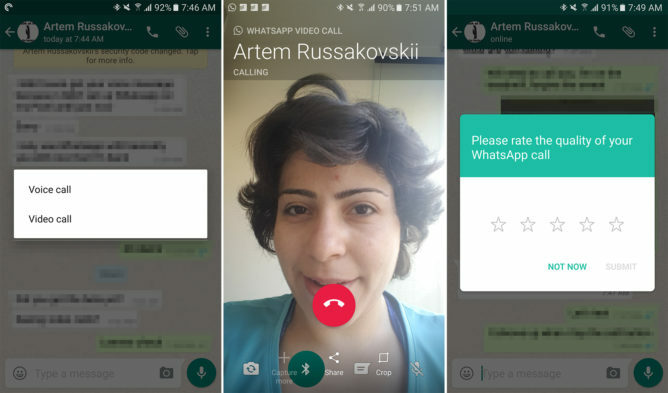 WhatsApp video calls started showing up for some users last month, but you either had them enabled on your device or you had to use root to trigger them. Otherwise, you couldn't do anything but wait until the feature went official. And now is the time. WhatsApp has announced that video calls are going live for users across Android, iPhone, and Windows Phone devices. The rollout might take a couple of days, so be patient if the feature doesn't seem live to you just yet. So how do you place a video call? 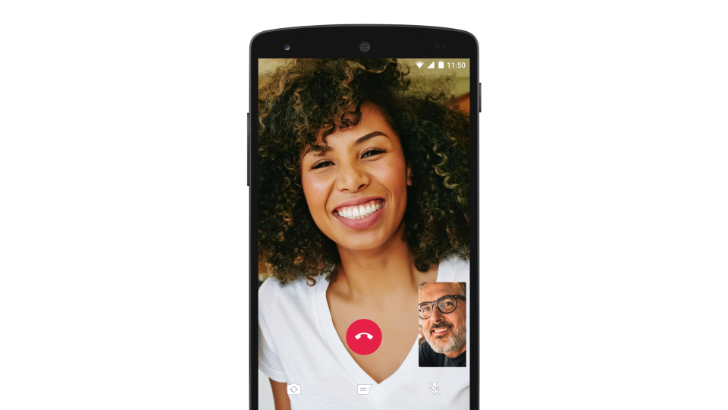 When you tap the call button in any chat or any contact screen, you'll see two options for voice and video calls. There aren't many buttons inside the video call screen. You can hang up, switch the camera from the front one to the rear in case you want to share what you're seeing right now, mute, and switch to the text chat if you need to type something. And with WhatsApp's penetration rate, it doesn't need to do much more to attract users — they're already there. As we said, if the feature isn't live already on your device, be patient. It might require a small app update or a server-side switch. It doesn't hurt to join the beta and make sure you're on the latest version.